March 2007: Physical installation of the first production radar on HMS Daring began. August 2005: Development and production engineering problems led to a rescheduling of deliveries. 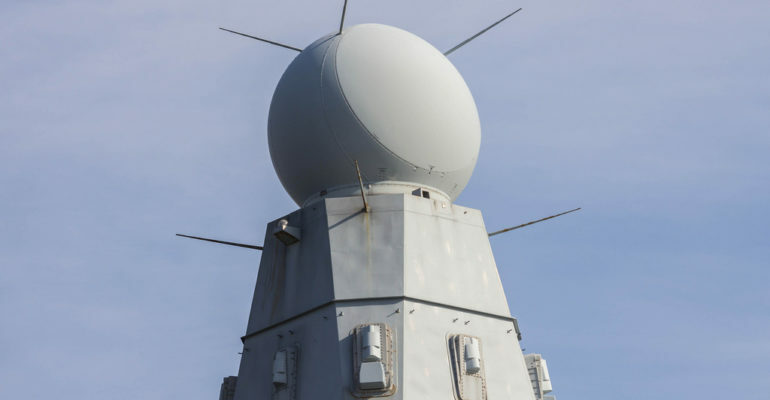 December 2003: A follow contract for five more production SAMPSON radars for Type 45 destroyers was awarded to BAE Systems.